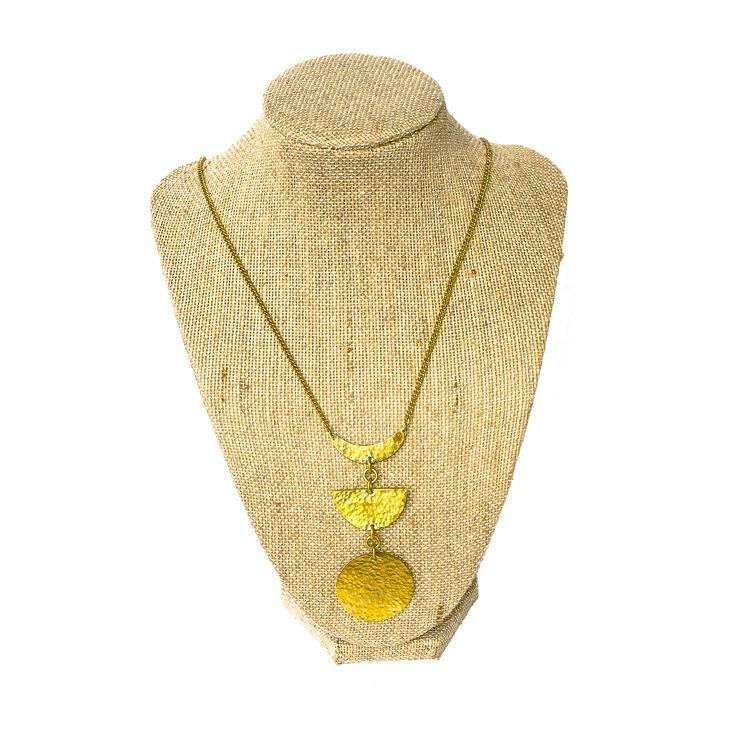 The Phases Pendant Necklace features a gorgeous moon phases pendant that is crafted from pieces of hammered brass. We are in love with this necklace and its bohemian aesthetic! Pair it with your favorite little black dress for an elegant evening out, or with a plain cotton tee on a breezy summer day.